HomeTrendingWill male love robots replace men? The future is here and it is quite extraordinary. Technology has advanced beyond imagination and this latest product is proof of it. A company named 'Real Doll' creates highly realistic human-like love dolls. They've started with the creation of male dolls and what's more is that they can be used for as long as you want; just make sure their batteries are fully charged. 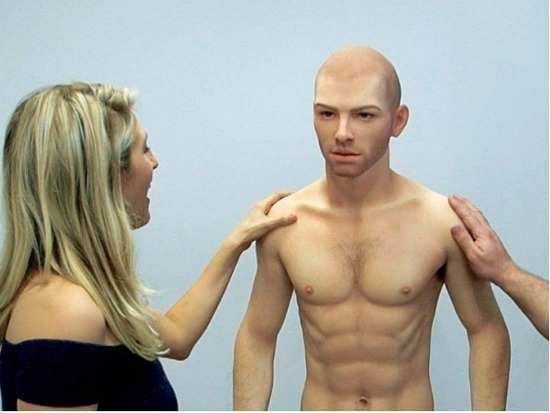 Reportedly, using high-tech tools these dolls have been made as real as a living partner and are even capable of responding to verbal communication. The product is also being called the "ultimate pleasure experience". Apparently, the makers claim that the experience will be so realistic that one may never need a human boyfriend or man again. These dolls have also been programmed to be able to enhance a conversation and are also said to come with their own backstory. So women won't need to convince the dolls into liking them as they're programmed to fulfill all needs. Now, isn't this just unbelievable? Stay tuned for more updates. 1Will male love robots replace men?